ACCIDENT FREE, 1 OWNER ONLY, SPINELLI CERTIFIED VEHICLE. 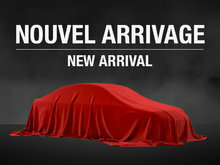 AWD, MOONROOF, REAR BACKUP CAMERA, LEATHER / WOODTRIM INTERIOR, ELECTRIC / HEATED AND VENTILATED FRONT SEATS, DRIVER’S MEMORY SEAT, AUTOMATIC DUAL ZONE CLIMATE CONTROL, LEXUS AUDIO AM / FM / CD / USB / BLUETOOTH / INTEGRATED SATELLITE XM RADIO W/ 12 SPEAKERS, LEATHER WRAPPED / POWER TILT AND TELESCOPIC STEERING WHEEL W/ AUDIO / BLUETOOTH AND CRUISE CONTROL, POWERED TAILGATE, SMART KEY SYSTEM, PUSH START BUTTON, 19’’ LEXUS ALLOY WHEEL, HID HEADLAMPS, FOG LIGHTS (LED) AND MORE. SPORT DESIGN EDITION. 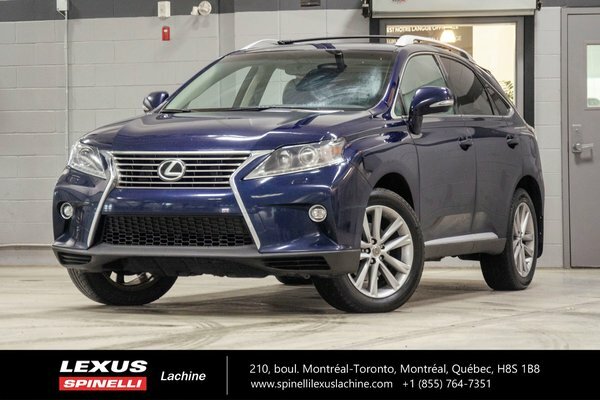 TRADE IN VEHICLE FOR ONE OF OUR SPINELLI LEXUS LACHINE GUEST. Engine : 3.5L Engine at 270 hp / Torque 248 lb-ft - V6 cyl.